We will have about 7 hours drive from Kathmandu to Dolkha. Night at the hotel. Day 04: - Dolakha to Shigati (1020m/3346ft). Day 05: - Shigati to Gongar (1350m/4429ft). Working through a Bhote Koshi river, Pass fir hamlets and villages working through a forest give you a chance to see a Gauri Shankar Himal (7145m). Day 06: - Gongar to Simigaon (2020m/6627ft). Today the path slowly gains altitude on an impressive slope and later crosses terraces. Arrive at Simigaon a Sherpa village. Day 07: - Simigaon to Donga (2800m/9186ft). Day 08: - Donga to Beding (3690m/12106ft). 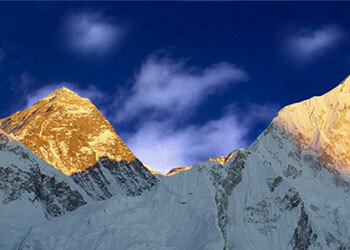 We will gradually climb the valley with good mountain scenery. We will visit the ochre-colored Gompa at Bedding, the largest village in the Valley. Day 09: - Beding to Na (4180m/13714ft). Day 10: - Na. Acclimatization day. Day 11: - Na to Nyiduk Kongma (4750m/15584ft). Above Na Gaun, the trail meanders up to a high lake named Tsho Rolpa (4540m) and up to the lateral moraines of the Rolwaling glacier. Day 12: - Nyiduk Kongma Drolumbau Glacier (5200m/17060ft). We will enjoy and have fun at Nyiduk Kongma Drolumbau Glacier (5200m). The Teshi Lapcha La goes through these mountains with the foot slopes of Patchamo. The descent on the other side is steep and very rough through boulder fields. 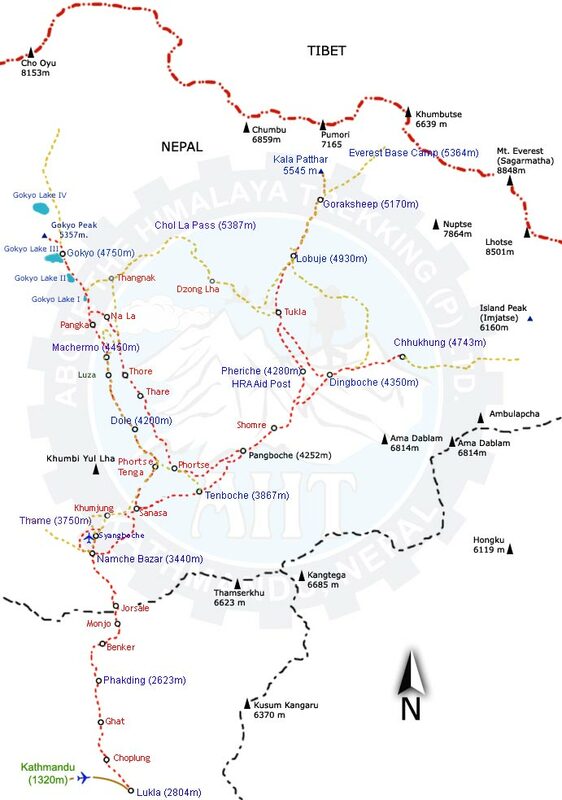 Day 14: - Camp to Thame (3800m/12467ft). Day 15: - Thame to Namche Bazar (3440m/11286ft). The descent from Namche to the Dudh Koshi can be the hardest stage of the entire trek. The trail descends over the ridge past rocky cliffs and scattered pines to the tiny village of Toktok. The trail drops steeply and runs level throughout the day. Enjoying the lush green scenery around and passing through the incredible mountain scenery and local Sherpa village arrival in Lukla. You’ll have time to stroll around the local areas. Day 18: - Kathmandu free day.